To prepare the chicken, carefully cut each breast almost in half lengthways, then open out the two halves like a book. Place the butter, spices and garlic in a mixing bowl and cream together well. 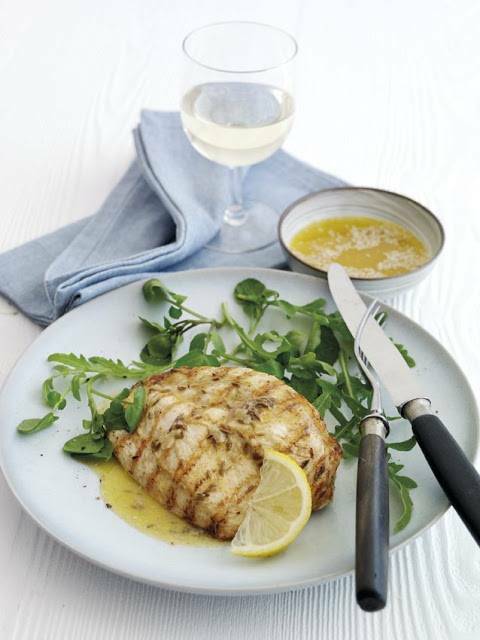 Rub ½ of the butter mixture into the chicken fillets, then place on a plate, cover and chill for at least 2 hours, up to 6. When you’re ready to cook them, place a griddle pan on a high heat and allow to get very hot. When it’s smoking, add the chicken breasts and cook for just 3-4 minutes on each side. Meanwhile, heat the reserved marinade in a small saucepan and use to spoon over the chicken when cooked. Serve immediately with a green salad and lemon wedges. 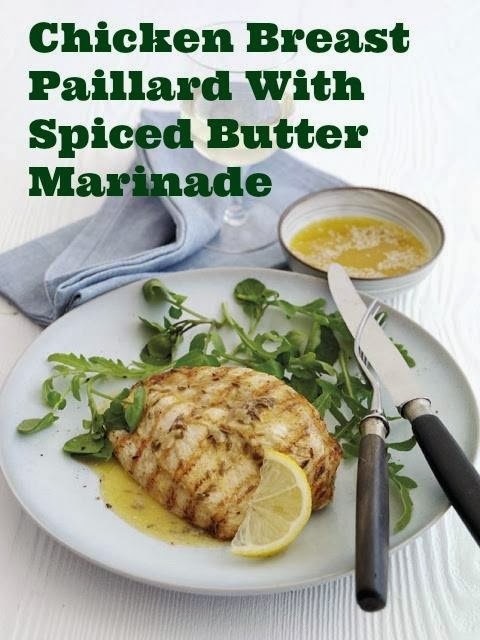 Paillard is a method of preparing a chicken breast that makes cooking it much faster. By cutting the breast almost in half and then opening it out, much more of the meat is exposed to the heat and it will take only a couple of minutes on each side to cook. "Rachel Allen’s Sweet and Fruity White Breakfast Scones …"
"Wild Mushroom, Spinach & Puy Lentil Gallates with Chilli & Garlic Yoghurt …"
I am a big chicken fan so enjoy a variety of chicken dishes. Thanks for sharing.